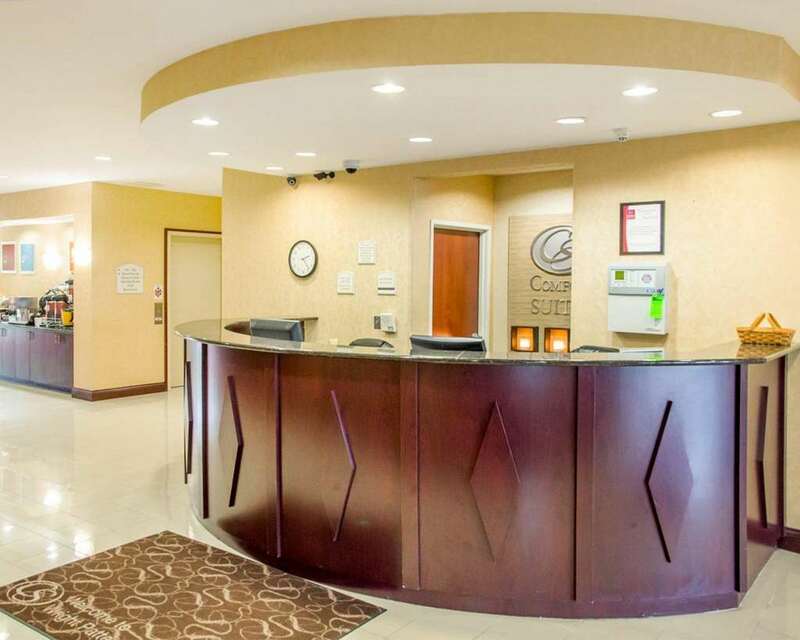 The Comfort Suites Wright Patterson hotel in Dayton, OH, near Dayton International Airport, will get you rested and ready to go take on the day. Nearby destinations include Wright-Patterson AFB, University of Dayton, National Museum of the U.S. Air Force, National Aviation Hall of Fame, and Dayton Aviation Heritage National Historical Park. Our smoke-free, all-suites hotel features free hot breakfast, free WiFi, free coffee, a business center with internet access, fitness center, indoor heated pool, guest laundry and valet cleaning services, plus bus, truck and R.V. parking. Each spacious suite offers a refrigerator, microwave, TV, coffee maker, hair dryer, and recharge device. Select suites include a a hot tub and safe. Also, earn rewards including free nights and gift cards with our Choice Privileges Rewards program.